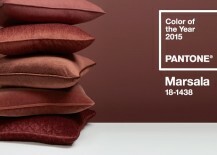 Interior designers around the world breathed a sigh of relief this month when color authority Pantone revealed its 2015 Color of the Year, a rich yet relatable hue known as “Marsala.” Perhaps it has something to do with the fact that it’s named after a wine (the second most universally appealing beverage after water), but Marsala is infinitely more versatile in terms of design than its predecessor Radiant Orchid. 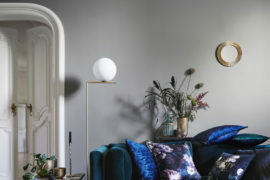 Opulent and regal but still warm and inviting, the shade is easy to incorporate all over your home in both small doses and large. 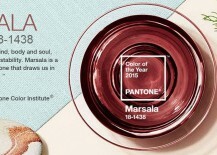 Read on to see some of our tips on how to ring in the new year with a splash of Marsala. 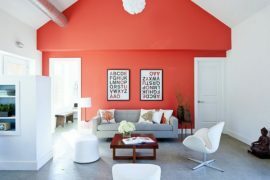 While we probably would not have advised you to paint any of the walls in your home using Radiant Orchid (except maybe in a less trafficked area like a small office or child’s room), Marsala is quite the opposite. 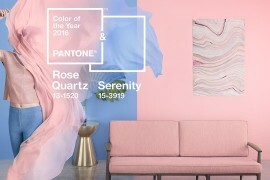 Because it echoes tones that are seen frequently in nature, it’s a soothing, comfortable color that is not startling to the human eye. 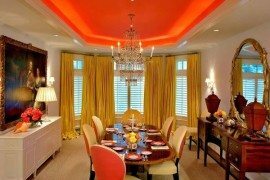 Marsala can be used to paint an entire room, but it also plays well with other hues, so mixing and matching is encouraged. 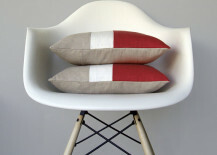 Pantone recommends pairing it with neutrals like warmer taupes and grays, or amber, umber and golden yellows. 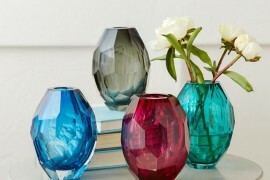 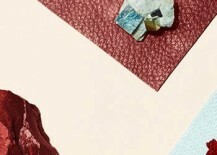 For a more vibrant, modern effect, juxtapose Marsala against greens like turquoise and teal, or even blues. 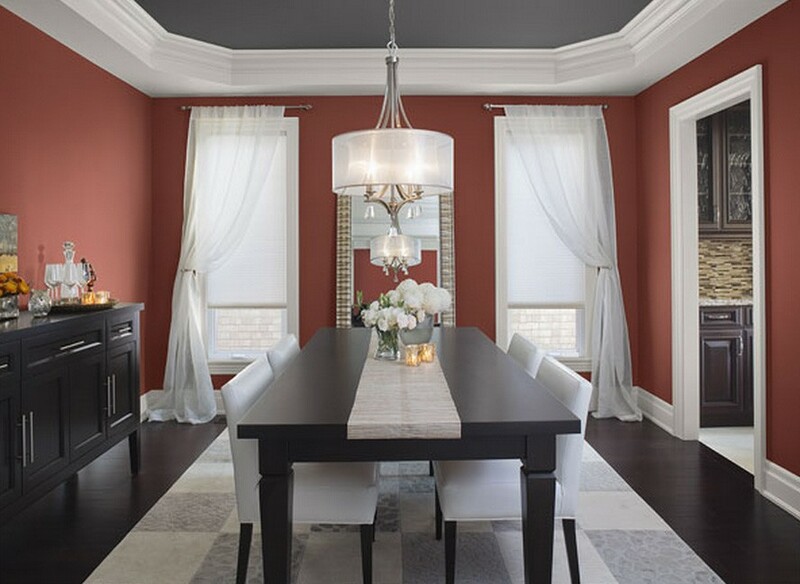 If you can’t find a paint called Marsala, bring a swatch to your paint store and ask them to match it, or opt for a color with the same tones like this one by Benjamin Moore. 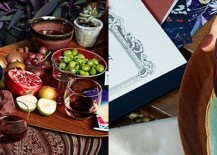 Paint can be too big of a commitment for some, so there are plenty of other ways to incorporate Marsala into your home. 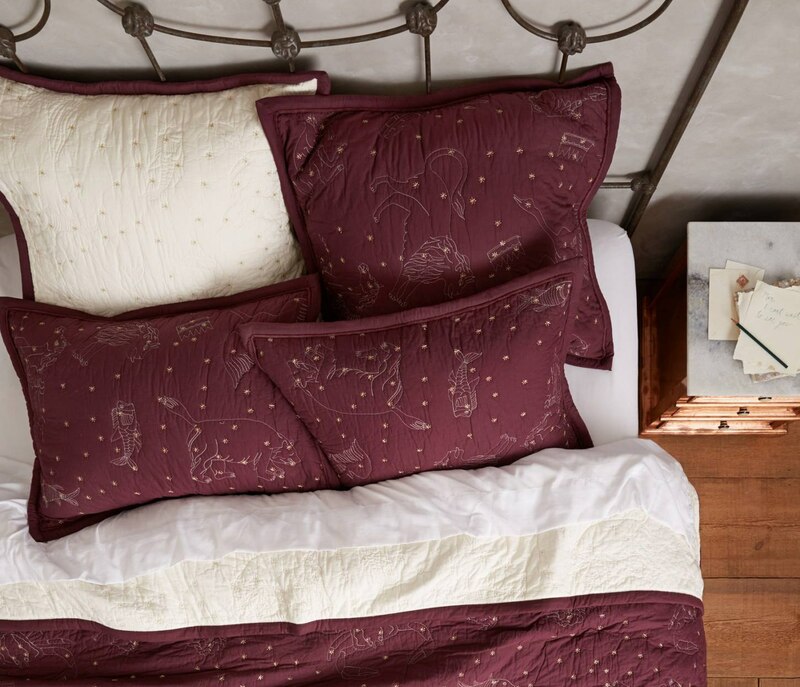 Pillows, bedding and other fabrics allow you to fearlessly experiment with touches of Marsala, and create a new level of richness and texture that can’t be achieved with just paint. 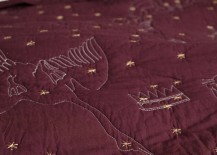 Anthropologie’s star-studded Cosmos Coverlet mirrors the night sky and gives the feeling of being nestled in a jewel-toned Moroccan riad. 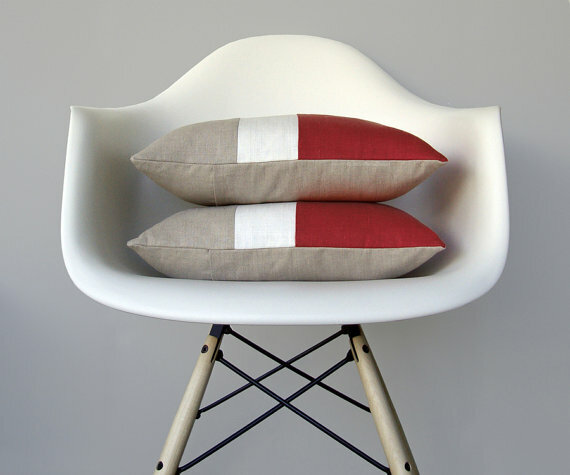 These throw pillows by Jillian Rene Decor use colorblocking to update Marsala with a fresh and modern feeling. 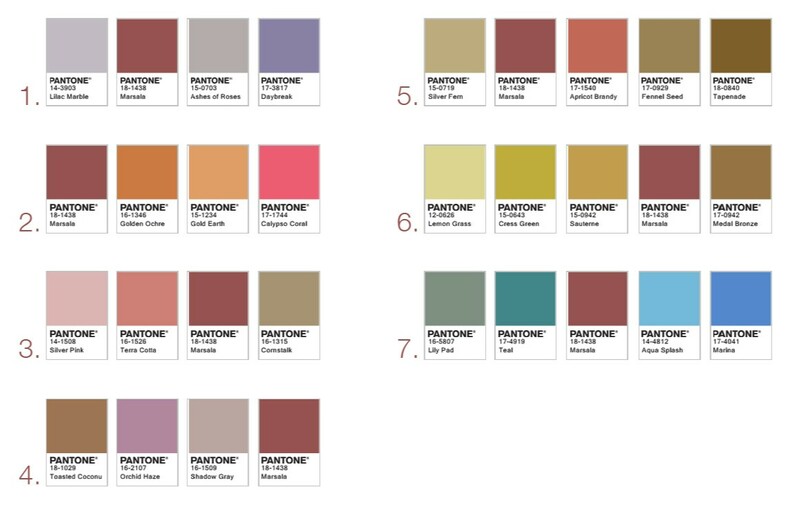 For more options, click here to explore a range of Marsala-colored fabrics and trimmings from Pantone partner Kravet. 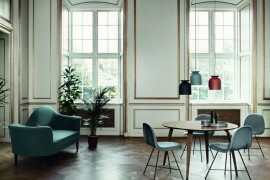 Furniture is another channel through which you can infuse your room with a shot of Marsala, and there are plenty of choices to pick from. 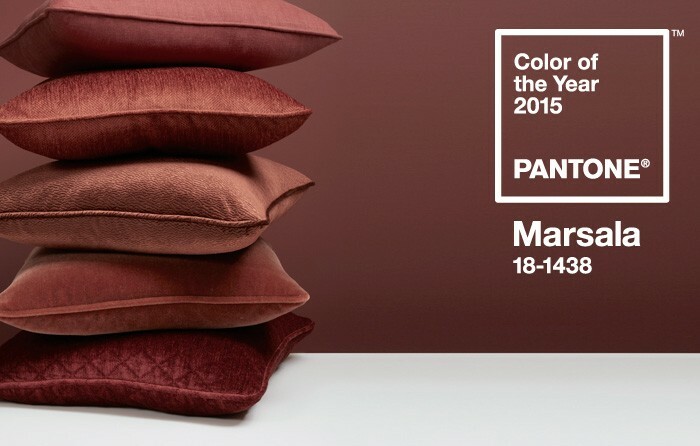 Despite its new status as the 2015 Color of the Year, Marsala is actually a very timeless shade, so you don’t need to worry as much about pieces in this color going out of style. 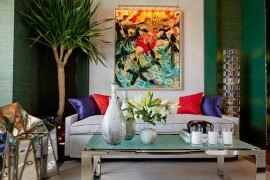 However, as with any large investment for your home, be sure to make purchases that you can imagine yourself loving five, ten or fifteen years down the line. 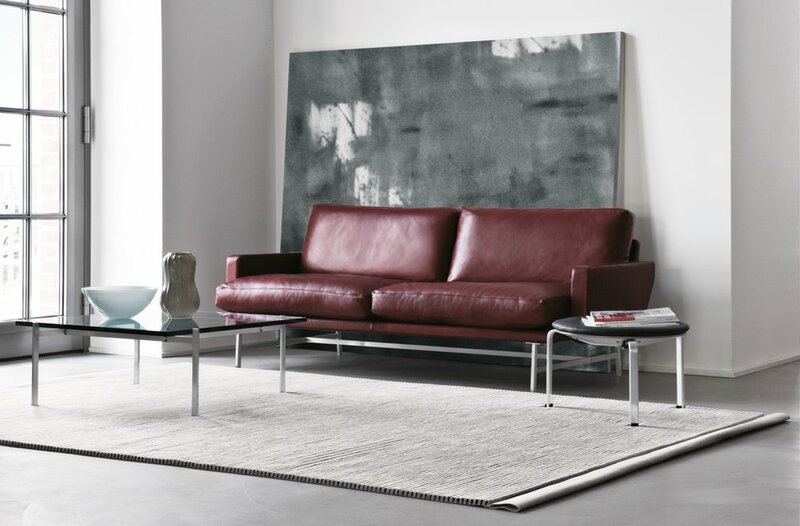 The Lissoni sofa by Piero Lissoni is just as relevant now as it was back in 2006 when it was designed, and barring any drastic future innovations where humans no longer need to sit, it will still look fabulous in years to come. 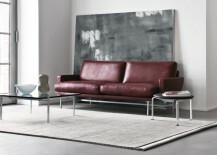 Marsala may seem like an inherently earthy color, but a change in texture can change its feel completely. 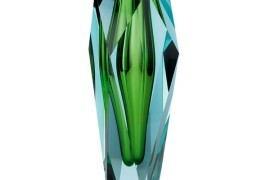 Pairing it with a glossy finish gives it a modern twist that we love. 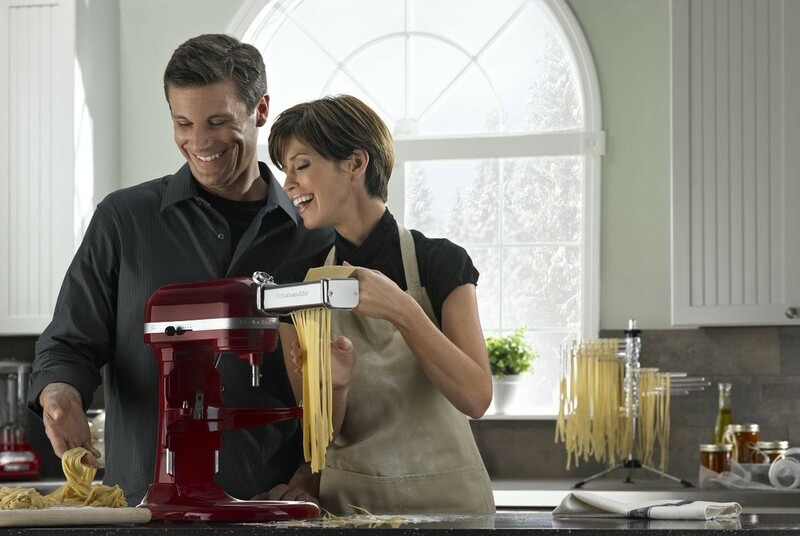 Appliances are a great way to bring polished Marsala into your home. 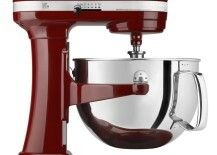 For example, try Kitchenaid Stand Mixers in colors like gloss cinnamon or bordeaux. 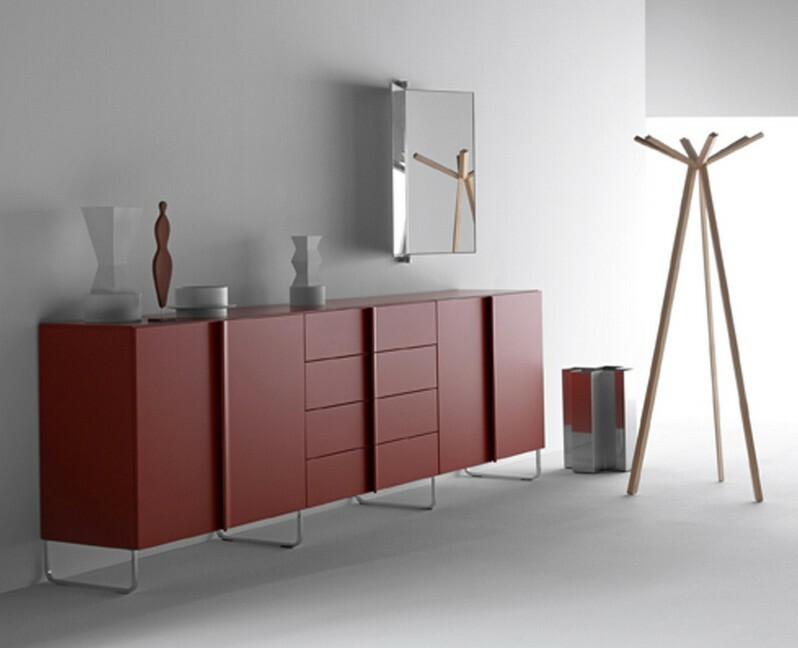 We’re big fans of this lacquer-finished Swing line of cabinets and dressers by Mortiz Engelbrecht, but we recommend only using one piece per room as to avoid a too-matchy look that can quickly become outdated. 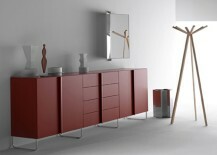 Are you planning to use Marsala in your home? 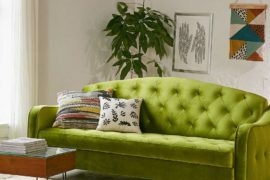 Tell us how in the comments below. 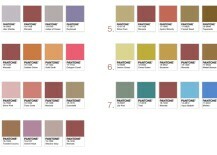 All images © Pantone except where noted.